Welcome! 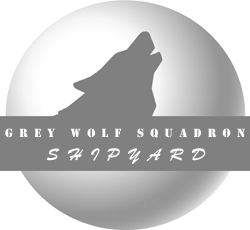 Grey Wolf Squadron Shipyard produces 1:144 scale cast resin and foam parts for World War I and World War II warships, primarily for the hobby of radio-controlled model warship combat. 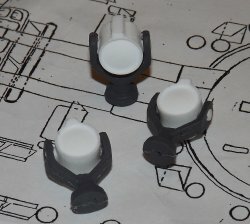 Since these parts are primarily intended for use on model ships firing on (and sometimes being sunk by) other model warships, we design all our parts with a balance between fine detail and durabiliity in mind (we could just go with durability, but feel every ship deserves to look good when sinking its enemies). AND FINALLY, NEW FOR 2013!! Grey Stacks for SMS Scharnhorst! We now offer scale stacks for those WWI SMS Scharnhorst buffs. They are cast in our grey flexible foam, under a fair amount of pressure (gives a nice solid/dense foam that will hold up well under rugged battle conditions but light enough to reduce "tippiness" in those little cruisers). They come as a set of four (1 round and 3 oval stacks) and are avilable on our "Superstructure" Products Page. 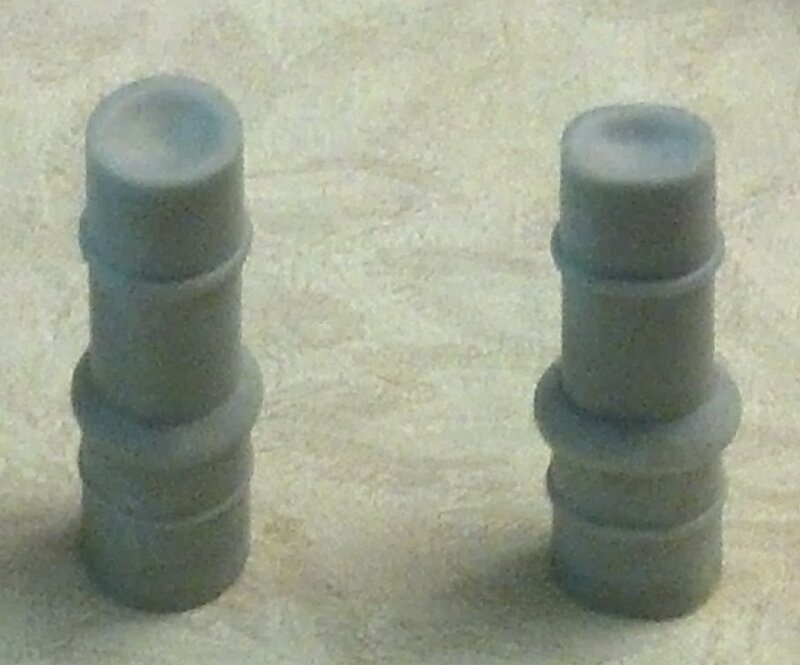 We are still continuing to offer our search lights as "mixed resin" (solid white lamp with flexible rubber base), but now the base is cast in grey rubber. The final look we think you will be well pleased with! STILL MORE NEW FOR 2012! For you Campaign Afficionados. Does your convoy ship look great making runs across the lake, but you wonder if it helps since it shows no cargo or supplies to help the war effort? Is your side ready to invade but has nothing to unload when it does? Well we cannot have that! It's All About Pretty! GWSS now offers both US and German halftracks and truck/transports cast in grey foam. They can be glued down on decks of transports and convoys ships to add that extra touch! Since it really is ALL ABOUT PRETTY! We always said a ship should look good when sinking enemies, and we are always trying to learn new tricks. 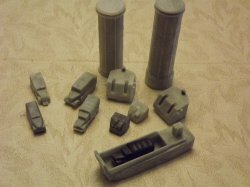 We recently begun playing with dying the resins as we mix them, and as a result we can now offer boat turrets, superstructures, and the new vehicles cast in grey. While they can still be painted to match the exact shade on individual ships, it should help prevent the "white patches" after battles where impact knocks off some of the paint. (and YES! the vehicles fit in our foam MK3 LCM landing crafts!). And YES! There is ALWAYS MORE coming! To learn more about G.W.S.S. and the products we make please feel free to browse the various links in the Navigation Menu above. There is also a lot more information about this fun and exciting hobby in the "Links" page.